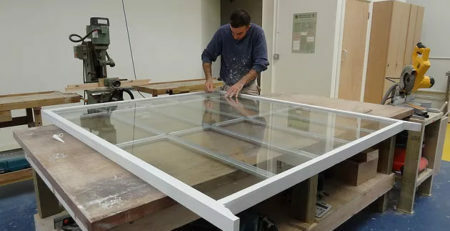 The installation of wood or plastic and metal windows have remained part of the architectural debate for some time as each material offers a unique set of pros and possible limitations. The install of timber remains an integral part of home design, providing a sense of warmth, true character and beauty that instantly transforms an exterior. To learn of the benefits of wooden windows London properties are provided a a closer look at wood versus plastic and metal frames. Wood frames have been recognized as the heart of every home, incorporated in windows and doors for a warm finish. It is so versatile, it suits every style of home from the modern property with lavish design to the quaint home or cottage. Wood has remained a top choice for window frames, but with contenders including uPVC or plastic and metal, the question is whether wood has managed to maintain its top position in design and construction. Plastic otherwise referred to as uPVC or PVCu, has received much attention for its affordability and efficiency in the enhancement of window frames. Many modern properties are constructed with plastic framing because it is cheaper and meant to last, but there are plenty reasons why wood remains a superior choice. The natural appeal and beauty of wooden additions simply cannot be denied compared to plastics. Many are unaware of the manufacturing process involved in plastic window frames. It is not a sustainable and environmentally friendly solution owing to its product restrictions and potential for releasing hazardous chemicals over time. From its production to its installation and longevity plastics in window frames are not a secure option and have been associated with heightened carbon emissions. Wooden windows do require maintenance performed every 6 months or annually depending on the materials. Sandpapering will remove splints and areas of deterioration while a good quality varnish helps seal and protect the exterior from the impact of sun and moisture exposure. While uPVC or PVCu windows do not rely on regular maintenance it has a maximum lifespan compared to the unlimited longevity of wood, provided it is well managed. Versatility in design is offered for any type of property when wooden windows are chosen. A beautiful cherry red, mahogany or pine frame will complement the style or color theme of the home helping you achieve a beautifully custom result without major expense. Determine the type of wood of interest including the thickness of the frame to enhance and frame your home rather than detract from it. The cost to repair wood window frames is far less than plastic and in most cases, the fixtures are completed efficiently. Most types of plastic frames are expensive to repair and ht damage could result in having the entire window replaced. 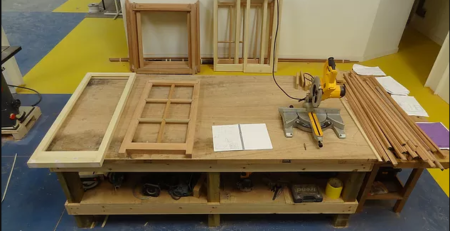 The frame will have to be ordered and if custom made, the period for receiving the new frame could take a significant period before it may be installed. Upon the release of plastic windows, marketing focused on its energy efficiency and how it remains the most functional material. Recent testing has revealed that plastic windows are not as efficient as previously claimed and shown to cause higher rates of environmental damage and waste compared to wood. The sustainability of wood has contributed to its favorability in all types of architectural projects including the install of beautiful window frames. Metal including aluminium, has received much support for its strength, neat appeal and longevity when incorporated in windows. Aluminium has become a popular choice for enhancement, but its stainless steel appearance and limited colors can leave the exterior looking cold and harsh. 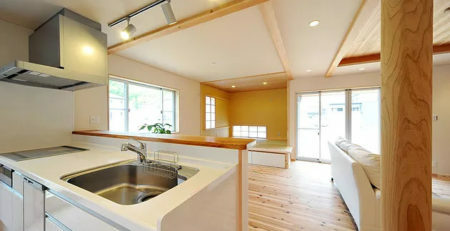 Wood remains the most common choice of material for properties because it is affordable and provides a unique charm. To improve energy efficiency in your home, the wooden window is recommended because it is a better thermal regulator than metal. Research has shown that much heat generated inside the property is lost where metal frames are installed. The metal or aluminium window cannot provide the best levels of insulation, meaning increased reliance on heating equipment and utility bills. To maintain insulation and energy efficiency, invest in a quality wooden window. It is a solution for cooler areas where heating equipment is used to keep the interior warm and comfortable. It ensures the heat generated does not easily escape and best regulates indoor temperature. The trend in construction has moved towards more environmentally friendly and sustainable solutions. The use of wood or metal in terms of sustainability has come under much scrutiny. Wood is considered a sustainable option as it does not contribute to waste or degradation, while the manufacture of metals may not always prove recyclable. To produce metals, it requires an exorbitant amount of water and includes carbon emissions. This is not required when wood is manufactured contributing to its sustainability. The beautiful wood frames provide the most reasonable enhancement and efficiency when compared with other types of materials. Mortice and Green are the original specialists of all wood and sash windows replacements, repairs and restorations. The family run business offers the superior expertise and experience of a window and door refurbishment service. Your trusted window repairmen assist in the enhancement of all types and styles of wood windows from traditional pine to the intricate restoration of sash windows. Wood remains a safe and superior choice for all types of frames and should only be handled by reputable repair and installation services. If you need your windows replaced or new wood frames installed, Mortice and Green offer expertise unlike any other window and door company. Having an extensive background in managing features from period windows to modern oak framing, you can rest assured only the highest quality workmanship is delivered. Issues of insulation are managed with careful attention to create an energy efficient and comfortable indoor environment. Ethical construction practices and valuable design provide your home with the highest standards of quality and care. Professional service solutions are dedicated to repairing, restoring and preserving the condition of all types of wood windows with exceptional results. 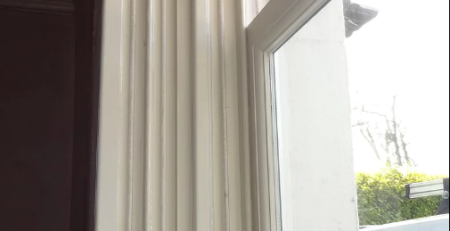 Sash Window Draught Proofing London Since 1994 but why is it so popular?